This is the beat author, not to be confused with his son of the same name, also an author. The Heavy Anchor is hosting a multi-sensory celebration of the 100th Birthday of William S. Burroughs PERFORMANCES by BODYBAG MAN. Readings by local poet and gadabout BRETT UNDERWOOD and CHRISTIAN SALLER. Additional video and audio administered by HALL, TIM RAKEL and others. Details to follow. Club opens at 5. Burroughs related retail for sale on site by Apop Records and Subterranean Books from 6 to 8 p.m. The original promoter of this event, Pat Delhougne, will offer some of his commemorative art for sale throughout the night. Readings at 7 and interspersed throughout the night. MUCH MUCH MORE! TBA More info here. Directions here. William S. Burroughs's book Don't Hide the Madness: William S. Burroughs in Conversation with Allen Ginsberg is currently available from LibraryThing Early Reviewers. William S. Burroughs is currently considered a "single author." If one or more works are by a distinct, homonymous authors, go ahead and split the author. 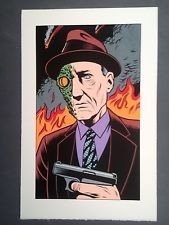 William S. Burroughs is composed of 22 names. You can examine and separate out names.